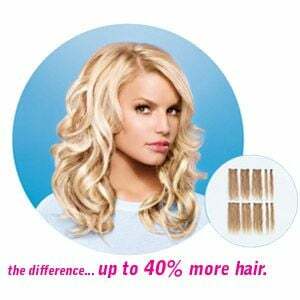 Created by celebrity stylist Ken Paves and Jessica Simpson, hairdo is a whole new way at looking at hair extensions. Most extensions enable women to go from short to long but you can also go from long to short with hairdo. Clip-in these individual pieces wherever you want to add colour, highlights, lowlights, texture, volume and length.